The TORQ22D is a state-of-the-art dual action polisher that combines maximum comfort with superior performance thanks to an extra-large 21mm throw, unmatched smoothness, and user-centric ergonomics. The 22D features a large 21mm long throw to quickly eliminate swirls, scratches, and defects faster and easier than traditional polishers. 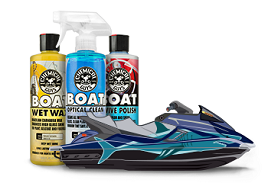 The random orbital mechanism mimics the motion of the human hand to safely achieve perfect results with amazing precision, while built-in safety features prevent the user from damaging paint by stopping the machine on sensitive areas like sharp curves. The heart of the 22D is a powerful 900W motor tough enough to handle any job. Precise electric controls deliver smooth power and maximum power thrust at every speed setting. 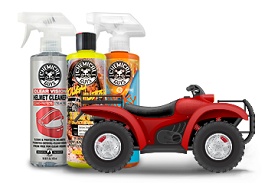 The 22D features digital controls and display within thumb’s reach of the ergonomic handle for unmatched usability and effortless adjustments on the fly without ever taking your hands off the machine or eyes off the paint. 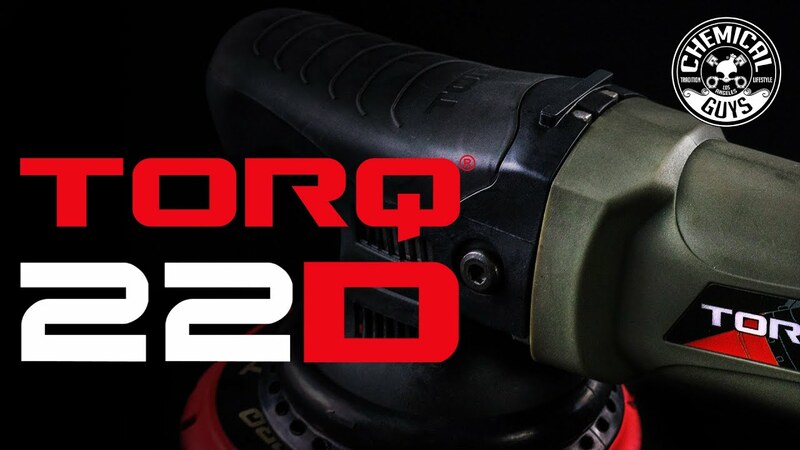 A functional streamlined dome grip, compact design, and properly-balanced weight distribution make the TORQ22D easy to maneuver and effortless to hold. 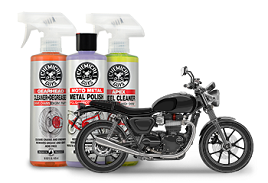 The lightweight machine is engineered to feel perfect in the hands of any detailer, while vibration reduction technology maximizes use comfort during extended polishes. The case internals absorb unwanted vibrations, reducing fatigue when detailing. Shake well and apply 4-5 drops of V36 to Orange Pad. Prime pad with Pad Conditioner. Dab product out evenly across 2' x 2' section. Turn on machine on surface to speed setting 1 to spread product. Increase speed to 5-6 and using moderate pressure. Work area in 2-3 passes until product becomes clear. Examine results. If you are satisfied with results, proceed to step 10. If you are not satisfied with results, try using V34 with the Orange Pad; if you are satisfied, proceed to step 10. If an even more aggressive approach is needed, switch to the Yellow Cutting Pad. Refine finish with white pad and V38 Final Polish. Unplug the TORQ 22D Random Orbital Polisher and turn the machine over and lay on a flat, stable surface. Counter-hold the backing plate attached to the machine, and unscrew the center hex-bolt with included TORQ Hex Key Tool. Replace with desired 22D Backing Plate. Line up backing plate fitment tab on spindle thread housing and insert hex-bolt. Line up backing plate fitment tab on spindle thread housing and insert hex-bolt. Counter-hold the newly-installed backing plate, then screw the center hex-bolt in with included TORQ Hex Key Tool.